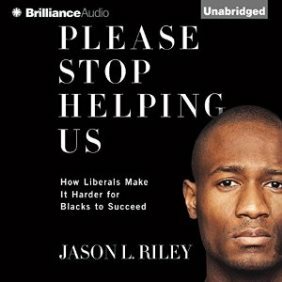 In a recent article, Jason Riley, author of Please Stop Helping Us, documented how government programs effectively discouraged dads from being present and accounted for in family. Government programs initiated in the 1960’s provided single moms up to $22,000 annually in benefits. That is equivalent to over $80,000 today! As with many social programs, good intent does not always get the desired results. The actual results over the last 50 years have had quite a negative impact on family, especially the black family. In 1960 approximately 70% of black children grew up with a mom and a dad in the home. Today that number is closer to 10%. Regardless of race, when dad is not present, kids are twice as likely to drop out of high school, girls are three times more likely to become teen mothers, boys are ten times more likely to have behavioral issues and families are four times more likely to live below the poverty line. Many societal woes are tied directly to father absence. Prioritize your physical presence in the home and with family. ‘In the beginning was the Word, and the Word was with God, and the Word was God. He was with God in the beginning … The Word became flesh and made His dwelling among us.’ John 1:1-2, 14. Just as God provided a connection with Him through the physical presence of His Son, a father provides a connection to the Father by being present and accounted for in family. A faithful father prioritizes physical presence in the home and with family. Click the link to enter the Father’s Day Sweepstakes and get your copy of the Faithful Fathering Father’s Day Pledge.